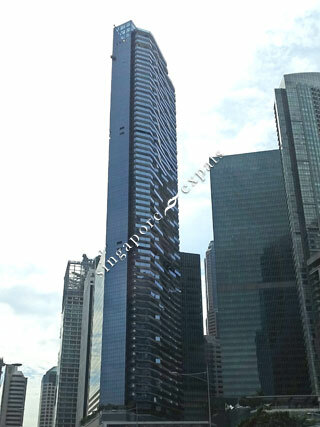 MARINA BAY SUITES is located at 3 CENTRAL BOULEVARD in district 01 (CBD, Chinatown, Marina Bay) of Singapore. MARINA BAY SUITES is a 99-year Leasehold Condo development consisting of 221 units. MARINA BAY SUITES is completed / TOP in 2013 (estimated), developed by MARINA BAY SUITES PTE LTD.
Educational institutions like JEWELLERY DESIGN & MANAGEMENT INTERNATIONAL SCHOOL, INSWORLD INSTITUTE, CHATSWORTH INTERNATIONAL SCHOOL (ORCHARD), CANTONMENT PRIMARY SCHOOL, RIVER VALLEY PRIMARY SCHOOL and STAMFORD PRIMARY SCHOOL are near to MARINA BAY SUITES. MARINA BAY SUITES is accessible via nearby DOWNTOWN, TELOK AYER and RAFFLES PLACE MRT Stations. Truly multi millionaire posh living. Fantastic view of the bay and the sea! Delicious food and nice restaurants and amenities at doorstep. A real luxury living near work and home.